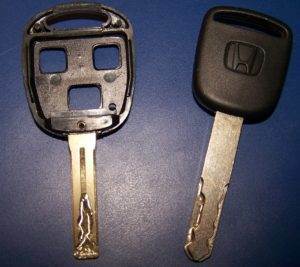 Have you lost your car keys and find yourself needing a replacement key? An automotive locksmith in Portland is able to produce keys for the majority of vehicles on the road today. A newer type of key is also known as a ‘laser cut key’. This key has a rectangular blade with a wavy groove that is recognizable from both sides of the auto key. A laser cut key is made by utilizing a key cutting machine intended specially for car keys. Laser cuts have an ability to open the doors and trunk of a vehicle, but it will be unable to start an ignition by itself. If you need your new laser cut key to start your vehicle as well, you will need to have the locksmith do a transponder key programming. Assuming your existing or new key made is a transponder key, it will be a smart idea to also purchase a basic car key as a backup. That backup key would be able to at least unlock your car doors in case of a vehicle lock out and won’t cost as much as a transponder key. All transponder keys include a small chip that is located at the bow of the key. The bow is the part that you hold onto when you insert the key into a lock). One way to tell if your key has a transponder chip is if it has a plastic casing at the bow, if so, you’ve got a transponder. The chip that is found within this key can be programmed in order to send and receive signals from the automobile. This is why you must have your car key programmed to your specific vehicle. 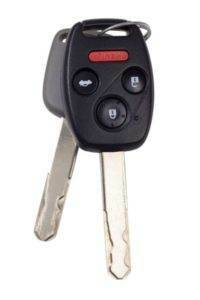 The necessary key programming is what makes a transponder key cost more than a basic car key. For a good cost though, you will be able to start your car! Programming a car key by a professional locksmith in Portland OR is completed depending upon the year make and model of your car. An automotive locksmith will be able to assist you. Buying your spare car keys now rather than later will spare you time and also that anxious feeling that arises with not having something important to you in your possession. Any Portland locksmith should be able to work with you and come up with an agreeable time frame to have the job performed for you.